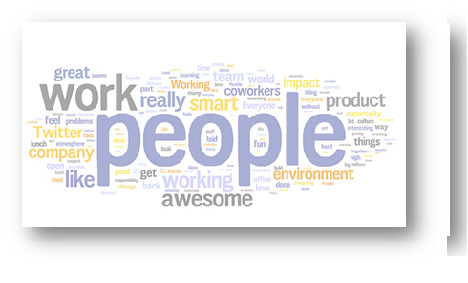 Employees are the working force for a company. If the employees are dissatisfied, then work power and in turn the production might fall. This will indirectly affect the business and the company’s fortune. So, don’t you think it is necessary to take care of the employees’ interest? But, with so many employees in a company, how can this be possible? Thanks to the employee satisfaction survey tools available in the market. 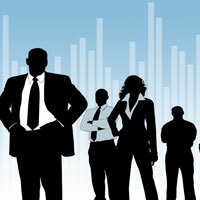 The survey tool has made it easy for the companies to measure the level of employee engagement to its business. Through conducting a survey, you can get first hand review regarding their work satisfaction and whether they are pleased with their work environment. With the advancement of technology, many online survey software programs are also introduced. With the help of employee satisfaction survey, employers can get a better understanding of employees’ perception about the work and can also recognize opportunities for improving their work culture and experience. This survey can only be successful when employees are honest in their review and reply. All the responses of the employees are kept confidential and anonymity is granted when required. Let’s take a look at some of the essential aspects of this survey. Designing a questionnaire for the survey is now made simple with the emergence of advanced software tools. The different software programs also help in quick launching of the survey online. You might also find customized templates that can help you in creating a survey questionnaire. You can use this feedback form as the primary feedback. You will only have some idea about the thoughts of the employees. Question types are of numerous varieties depending on your needs – some might require expressive and detailed reviews while other might look for simple and short replies. You can also frame your own choice of question taking ideas from the different survey tools available online. There are professional designers who can create and design your survey form. In an organization you might some of the employees unproductive or don’t have much zeal for work. This can be because of workplace distraction, mistaken placement, lack of motivation and direction. Through the survey you can know about all these inner thoughts of the employees and can make the required changes and improvements accordingly. The survey showcases the feelings of the workers. At times, it is seen that employees express their belief that if their role is changed, they can bring in more productivity. The utility of employee satisfaction lies in the fact that all the data and information are from horse’s mouth. Coming openly from employees, this information should be invaluable for a company more because they are directly related to company’s profit and productivity. Surveys of the employees are also often used for catering some learning activities or training. Quality service and award programs also crop up after such survey is conducted. Rewarding an employee again ensures retention of valuable employees. Encourage your employees’ involvement after knowing them properly. James Patrick is a popular author writing articles on customer satisfaction survey and more related topics. In this article he has given information regarding the survey software system. 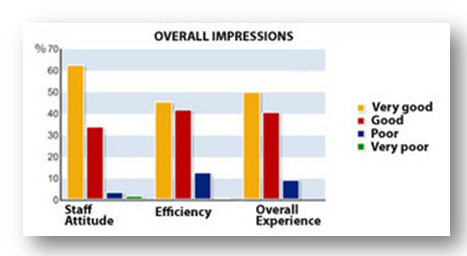 Summary: Employees’ satisfaction matters a lot when it comes to a company’s progress. A survey of their views helps a company in many ways.